Now in paper, this classic devotional will guide you on how to apply biblical principles to everyday life. Originally part of John Calvin’s Institutes, the devotional covers themes such as obedience, self-denial, the significance of the cross, and how believers should live their lives today. 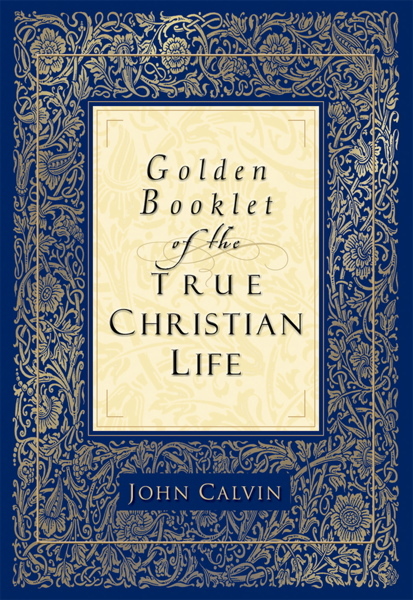 Rather than focusing on contemplative other-worldliness, the Golden Booklet of the True Christian Life stresses the importance of a devotedly active Christian life. In style and spirit, it is much like Augustine’s Confessions, Bunyan’s Pilgrim’s Progress, or Thomas à Kempis’ Imitation of Christ. Its intense practicality, however, sets it apart, making it easily accessible for anyone seeking to carry out Christian values in everyday life.